Learning Italian with Parola school also means to fully enjoy the center of Florence. 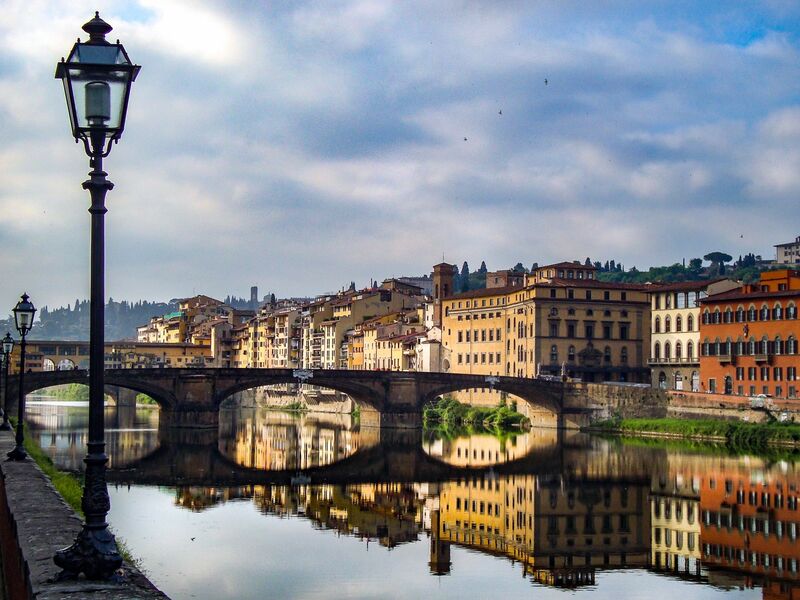 As a matter of fact, our Italian language school is very much appreciated for its excellent strategic location in the historic center of Florence near locations such as Santa Croce Church, Ponte Vecchio or the Uffizi Gallery. Parola Italian language school is centrally located and its headquarters is in a XVI century building designed by Giorgio Vasari, painter, writer and architect that designed the Uffizi Gallery. Our Italian language center is very close to one of the world’s most beautiful churches, the Basilica of Santa Croce, which is situated at the end of the block in Borgo Santa Croce, 4 in Florence. Santa Croce Church has frescoes by Giotto and Taddeo and Agnolo Gaddi, and houses the tombs of great Italians such as Michelangelo, Galileo Galilei, Alfieri, Machiavelli, Foscolo, and Rossini. Parola is one of the best-localized school in Florence: around our Italian language school, there are several Italian coffee shops and Tuscan cuisine restaurants with affordable prices and convenient supermarkets as well. Parola school also provides some good recommendations for reasonably priced trattorias, groceries, coffee shops, supermarkets, and places to have lunch. Our Italian language school is in the heart of the historic center of Florence, so our students can enjoy taking nice strolls in the neighborhood of Santa Croce where the school is situated. Our Italian language students like Santa Croce’s shops, its coffee shops and small restaurants to fully experience the Florentine daily life. There are easy ways to reach our Italian language school in Florence such as public transportation or taxi, but on foot is the easiest way! Ask us to easily reach our language center by calling our school at +39 055 242182. Please, contact our Florentine office, which is at your complete disposal to give you information about how to reach Parola school’s location in the center of Florence.